These are statistics gathered for the following ulog tags: #ulog and #ulogger. Authors displayed in this article have used above tags at least 5 times in the last 90 days, except for the global statistics. ULOG 090 - What's the truth behind DLive leaving Steem for Lino blockchain! On Steem, Witnesses are playing the important role of providing a performant and safe network for all of us. You have the power to choose 30 trusty witnesses to package transactions and sign the blocks that will go in the Steem blockchain. Vote for me via SteemConnect to help me do more useful projects for the communities. Protect your money against Phishing Scam! 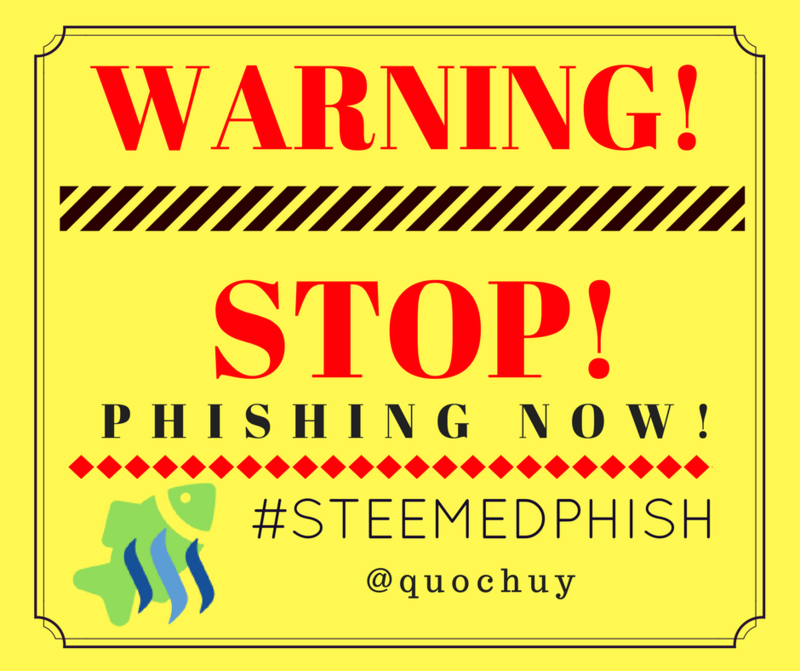 Install Steemed Phish Chrome desktop browser extension now! You all know that your Steem password is the access to all your STEEM, SBD, posting, transferring, everything... right? Apart from the initial setup of your account, NEVER use your password ANYWHERE, if stolen, it will give full control to your Steem account. Backup your password and keep it somewhere safe. Use a password manager like Lastpass, print it on paper and put it in a safe (no kidding). If you forget your password, no one can help you out.